A celebration of Life with all its joy, pain and mystery. "A very descriptive and lively read' - Gloria Hunniford, author and broadcaster. "The rhythm of the dance runs through this exciting story like a heart beat and tension is maintained until the totally unexpected but completely believable denouement. I just loved this book" - Caroline Graham, creator of 'Midsomer Murders'. 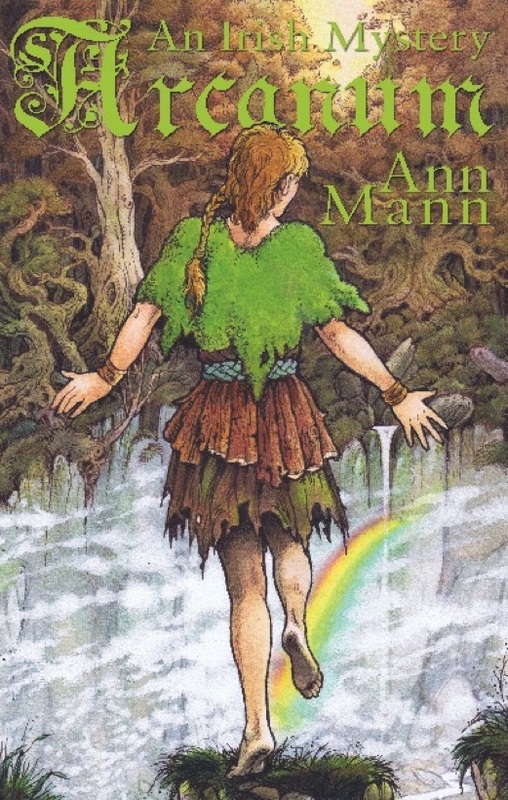 "Ann Mann’s enchanting and compelling story takes us on a dance through time and keeps the reader guessing until the final page. Pure magic!" - Louise Keegan, The Keegan Academy of Irish Dance. "A wonderfully fascinating and charming story that will take you through the historical periods of Irish identity, religion, dance and music. A page-turner that you don't want to miss!" James Keegan, Lead Dancer, 'Lord of the Dance'. When a troupe of Irish dancers disappear, the police and the world are baffled. While Silas Murphy and Clodagh Trevor embark on their own desperate search for their friends and colleagues, a strange and complex labyrinth of events unfold, influenced by the age-old divinatory symbolism of the Tarot cards. 'Arcanum' is a supernatural novel set in past and present Ireland against a background of Irish dance which tells of the human spirit's desire to overcome adversity. With the force of determination, plus a little magic, the veil between past and present is briefly lifted and the two are united in order to restore harmony, but not before the tragedy of loss is experienced on either side. This novel takes the reader on a journey through Ireland and weaves a story combining fact and fantasy, mystery and romance. 'Arcanum' will be enjoyed by readers with a strong interest in Ireland as well as those who enjoy Irish dance and those who take part in the popular art-form themselves. A fascinating and gripping read, this book will not only serve to entertain readers, but also to enlighten them. Publication date for 'Arcanum' is November 28th 2016. Available in bookshops worldwide and also in eBook form through the usual websites. England’s invasion and centuries-long occupation of Ireland for a long time included suppression of traditional expressions of Irish identity, including the Irish language, sing and dance. Barns, forests and hidden schools were just some of the places dance enthusiasts met to perform away from prying English eyes. And Irish dancing did not die. It survived, thrived and developed. It remains a big part of Irish identity and this, in part, is due to the passion and bravery of those who refused to stop moving. Their efforts, combined with a lifelong love for Ireland and its mysticism, inspired British author Ann Mann to write a novel celebrating all the joys and pains of life. This affection for Ireland was borne out of childhood visits and the fact that, despite growing up in Somerset, she was introduced to the poetry of W.B. Yeats. While all the other schools in her area were taught strictly British literature, her education had a distinctly Irish flavour. “The others did English and Scottish poetry but, because we had three Irish teachers, including an Irish headmistress, we learnt Yeats. “From the outset I was fascinated and that continued right up through my studies,” Ann explained. She attended the Yeats Summer School in the 1960s where she “became aware of the amazing artistic and cultural contribution that Irish writers, artists and musicians had made to the world”. Later on in her career she returned to the Summer School to lecture with her own thesis Yeats and Music while her novel opens with an extract from To Ireland in the Coming Times. 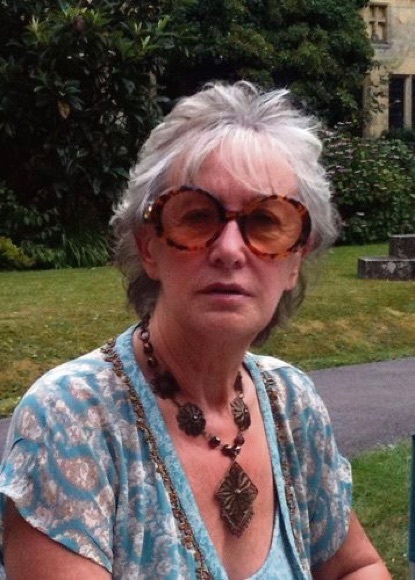 The connection between Ireland and music has always been a feature of Ann’s work, including presenting and producing various programmes on the subject for the BBC. An interest in Irish dancing, however, developed as her idea for the novel took shape. “I’ve always been fascinated by the old dance masters roaming the country and teaching others to dance,” she said. “When I was doing some further research it really hit home that people were once forbidden to dance and they took great risks at the time by continuing to do so. “The whole spectacle just lends itself to drama – the rhythmic music and pounding of the feet. Ann says she always wanted to write a supernatural novel having explored other avenues in the past. She said she had long felt that Ireland, with its strong traditions in mysticism and mythology, would be the perfect subject to base it on. Given that, in Irish dancing, she was tackling a theme about which she had little prior knowledge and, bearing in mind she had chosen to switch between eras, the author explained that she had been forced to utilise her artistic license. “It was tricky switching between the past and the present, and I had to do an awful lot of research,” she said. “I have taken a few geographical liberties because I needed lakes, I needed a wood, and I needed a town and so on. These small details, particularly in a fantasy novel, are moot. 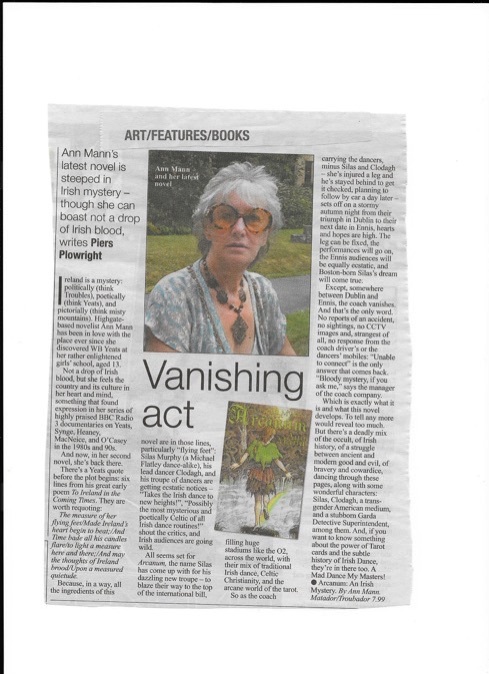 What does come across plainly is Ann’s relationship with Ireland and the strength of her characters. She expressed a particular pride in Blossom – an American, transgender psychic – and explained how the initial reactions to her work have been positive. This praise, in addition to an overall love of writing, means she will continue to produce books *provided she has the inspiration. “I have to get the idea because the others have always been there. And while I probably have finished with a completely Irish novel, it doesn’t mean that, in the future, there’ll be some Irish influence,” she said. 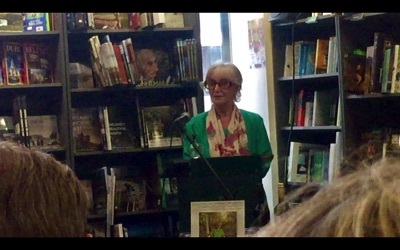 As Ann noted, the idea for a story about Ireland has been with her since her youth. It manifested after her discovery of Irish literature and came together when she saw Michael Flatley in Riverdance. What she has produced is befitting of a true Hibernophile; as she pointed out, she’s “always taken the side of the Irish when it comes to how they were treated in the past”. Had she been around in Clare, Galway, Limerick or anywhere else during the Penal Days, it’s likely that she would have defied the English. As it is, she’s thankful that so many did. 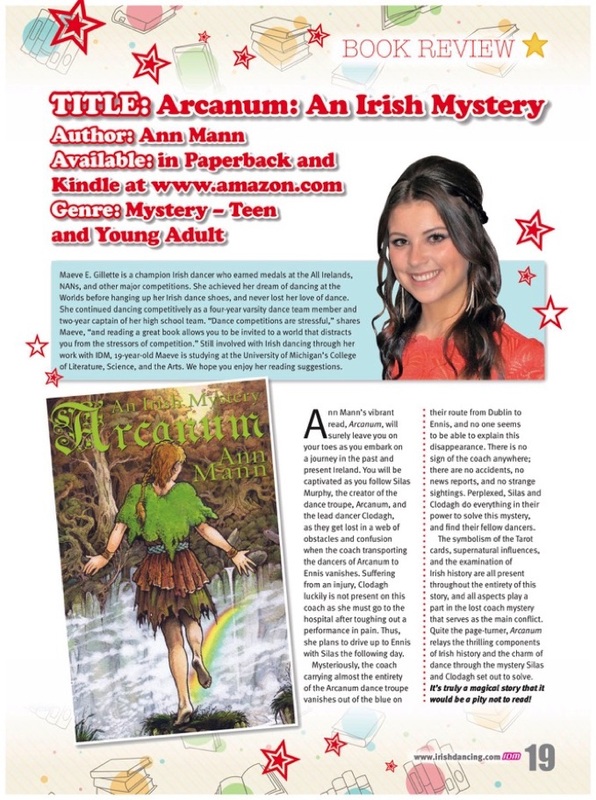 Arcanum is a stunning psychic novel that is set in Ireland, in the past and the present. It is written by author Ann Mann. A troupe of Irish dancers vanish. This mysterious event leaves the police absolutely baffled and the entire world mystified. After all, a while troupe of Irish dancers cannot just disappear? Can it? But if the police cannot do something, anything, to find and rescue the Irish dancers, their colleagues and friends will not let them down! Silas Murphy and Clodagh Trevor decide that if the police can't find them, then they will! But what can they do? Where can they start? The two friends commence their investigation and soon find themselves embarking on a, frankly, bizarre, convoluted and labyrinthian investigation that transcends both space and time. They find it necessary to use techniques that no modern police officer would even dare to contemplate, but as they say, desperate times call for desperate measures and they duo employ ancient divination techniques to help them in the quest for their missing friends. But where or when had they gone? Who, or what, had taken them? And would they be rescued? This is a mysterious story and very well told. 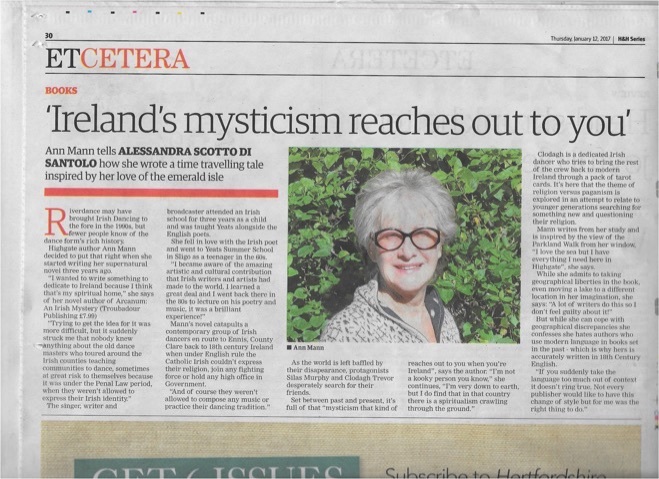 It will make a excellent Christmas present for those who like their fiction of a more mystical nature. …although many people who don't know me think I am. I'm from Somerset with a West Country mother and a German father. I studied in Ireland, made some BBC programmes on Irish writers and music and of course my latest book, Arcanum: An Irish Mystery, is set in past and present Ireland and dedicated to my spiritual home. Writing is my fourth career. I was a singer from the age of 16 to 24 and sang on TV and radio shows and in venues in the West End of London. Then I became a TV and film production assistant, then a producer working in drama, music and documentaries. I always was a storyteller. I used to entertain school friends on the way to and from school with made up stories, which they seemed to enjoy. I never thought about them first but developed them as we walked along. The girls used to hang around every day for me to finish but I always teased them and kept them guessing for the ending for weeks. I love cats and pigeons. A contradiction I know but I've always had cats and we have a gorgeous flock of different coloured rock doves (pigeons) that visit our garden in London. Many people find them annoying but they are known for their intelligence, powers of perception and bravery. They are honoured in Hyde Park for the part they played during the Second World War in delivering secret messages to our foreign allies and Woody Allen should be ashamed for calling them 'rats with wings'. I have an eclectic taste, everything from vintage pop to Adele, musicals and the great American Songbook. My husband is a concert pianist so I also enjoy many classical composers especially Tchaikovsky and I still sing when I get the chance. Writers and poets I cannot live without. I revisit Daphne Du Maurier and James Joyce every so often for their wonderfully descriptive and engrossing stories and use of the language. I always buy the latest Stephen King novels and of course the poetry of Yeats has inspired me since I was a teenager. I was brought up at the seaside but lived in London from the age of l9. However, we always try and take holidays by the sea and I struggled with sailing many years ago but sadly didn't have the stomach for it. My study is my sanctuary. It's where I do my writing, which overlooks our wildlife garden with all its birds, trees and flowers. Unusually for a London garden it backs onto a nature trail, which is the home to many bats. I love watching them swoop over our house in the twilight hours. I highly value my friends. What would women do without girlfriends? We need each other and I have some friends that go back over 50 years. The saddest thing is, as you get older, you lose some and that takes a lot of getting used to. 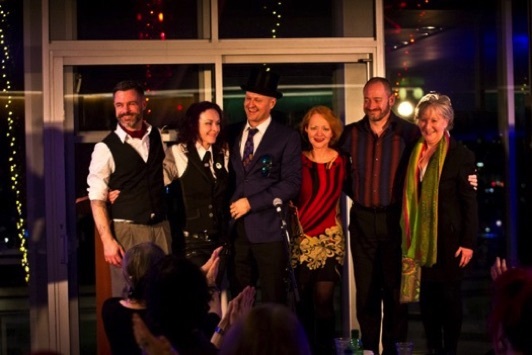 The Polari Literary Salon held at the Royal Festival Hall, January 27 2017. JUST read a great book. Arcanum, An Irish Mystery captured me from page one as the story flits between 1735 and 2025. Opening with the swirl of colour in a Co Clare bedroom where, back in the mid-1700s a boy with dance in his blood is bequeathed a rainbow costume with supernatural powers. We learn that at that time Ireland was under English rule and the Catholic population couldn't express their religion and suppressed their culture so ‘dance masters' travelled secretly around the countryside teaching townsfolk the jigs and reels. The boy is to become a master – but will he survive? What has this to do with a group of Irish dancers working in the Olympia Theatre in 2015? We come forward almost 300 years to visit the Dublin theatre where similar excitement builds towards a show and where choreography is based on the occultism myths of the Tarot cards. Strange things happen, unexplained at the time. The stories run in parallel lines and we are drawn into a mystery. There's only a thin veil as we shift between ancient and modern, a mist that threatens to be penetrated. Ann weaves a magical story that takes us between the village where the young boy comes to a sticky end and the Riverdance-inspired modern dance troupe lead by Silas Murphy and beautiful Clodagh Trevor, a girl in touch with the spirit of the dance which eventually results in a connection with the people in 1735. But not before 26 boys and girls go missing as they travel to perform in Ennis. They and their tour bus simply disappear, for weeks, months. It becomes an international story as the search gets more and more desperate. Where are they? Have they gone beyond the mist? Can they every return? Ann's writing is beautiful. You can hear the birds, see the colours of the countryside and the scenes in long-ago Co Clare are chilling and compelling. The author herself has an interesting story. 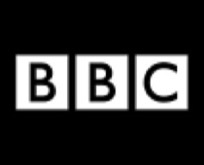 Born in Somerset, studied in Ireland, worked in television and film as a performer then as a director and is now on the film voting committee for Bafta. She has also lectured at the Yeats Summer School in Sligo. Ann now lives in London with her husband and the unlikely combination of cats and coloured rock doves – pigeons to you and me – for company. I found this book stretches the imagination and I won't tell you the end of the story. Available via Amazon. Tá leabhar draíochtúil nua agam darbh ainm Arcanum le hAnn Mann. Is leabhar iontach agus osréalachas é. Labhair mé le hAnn Mann an bhliain seo caite. Ba dhuine suimiúil í, agus tá Gaeilge maith uirthi. D'obair Ann mar léachtóir, agus léiritheoir sí le Walt Disney, agus Hammer Films. Is úrscéal mistéireach é, Arcanum. Uair amháin, d'imigh compántas rinceoirí as radharc go tobann. Cá bhfuil siad? Cá háit faoin spéir a raibh siad? Is leabhar neamh-choitianta é, Arcanum. Scríobh Caroline Graham, cruthaitheoir 'Midsummer Murders' "The rhythm of the dance runs through this exciting story like a heartbeat, and the tension is maintained until the totally unexpected but completely believable conclusion". Is leabhar saoithiúil é, Arcanum. Ní duine moltach mé go rialta ach tá moladh do gach duine ar an leabhar seo. I've just finished reading a wonderful new novel called 'Arcanum' by Ann Mann. It's a surreal Irish story with a great twist in the tail. I spoke to Ann Mann last year. She has some Irish interests and in a varied career she has worked for both Walt Disney and Hammer Films. 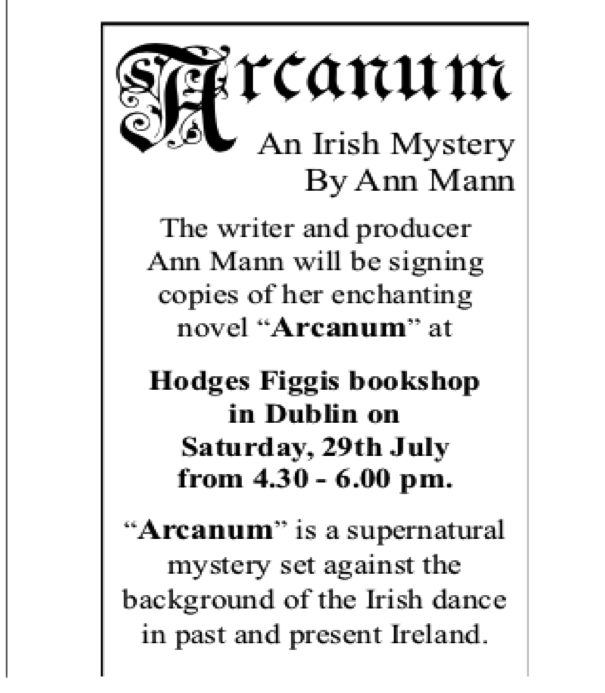 Arcanum is an entertaining read and it concerns the sudden disappearance of a company of Irish dancers. Where (or when) have they gone? This is an unusual story, and Ann Mann is amassing an army of fans, including Caroline Graham, creator of 'Midsomer Murders'.